This is quite special. 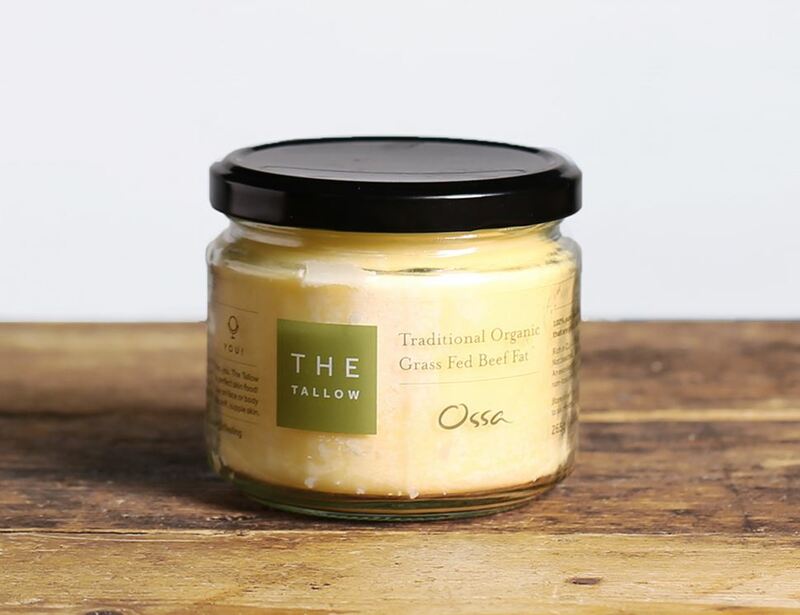 It's 100% pure beef fat made from animals that are grass fed to organic standards. As it's very stable at high temperatures, it's ideal for shallow or deep-frying. The flavour it will add to your cooking is like nothing else. Michael and Catherine Farrant have always believed in the power of natural foods. This belief eventually led to them starting their own business. Through Ossa, the couple aim to bring the restorative and healing properties of organic food out of their own kitchen to a wider audience. Everything in their range is made from the highest quality organic ingredients and are based on traditional recipes and cooking techniques. Keep refrigerated <4°C. Freeze before us by date. Stable at high heat. Suitable for shallow frying, great for roasting. Freeze as soon as possible after purchase & before BBD. Once thawed do not re-freeze.